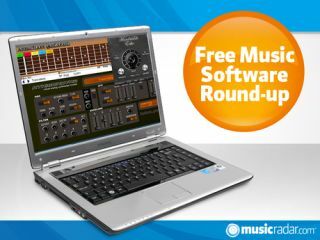 If you like music software and free stuff, you've come to the right place. We've already brought you a year's worth of downloads (has it really been that long? ), but, as you'll see below, the new plug-in releases just keep on coming. This "boutique delay/echo unit" is designed to emulate the sound of classic hardware models. The controls are simple - just feedback, delay and dry/wet knobs and a tempo sync button - so it'll appeal to anyone who wants a delay effect that doesn't require a lot of tweaking. This plug-in, which was originally created for KVR's Developer Challenge 2009, enables you to use your video game guitar controller (one that's DirectInput compatible) as a MIDI controller for your DAW. This update fixes various issues and adds a couple of new features. Yet another virtual analogue synth for the pile: this one gives you an oscillator, filter, LFO, three envelopes and overdrive/distortion, delay and stereo widening effects. As such, it doesn't really do much more than a hundred other synths, but give it a try and see how it fits.